Here is an equipment tale of woe that many of you will be able to relate to. Dan's beloved walk-behind 2-wheel tractor, fondly referred to as "The Beast," is not moving. We've only had it for a year. The engine still runs but there is a problem with the transmission. Fixable? That remains to be seen. 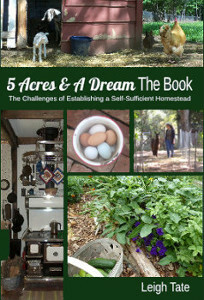 In the meantime, it set off a rather lengthy discussion about our goals, needs, and working smarter on our homestead. Before we bought The Beast we set out to find a farm tractor. We scoured Craigslist and Dan traveled many miles in search of something that matched our pocketbook. Such a tractor did not seem to exist, or at least not one that was in working order. All too many ads said "runs great" only to have it mysteriously not start when Dan went to look. Or the battery had just died. Or the owner forgot to put fuel in it. Or there was something they didn't mention in the ad that they were sure was "easy" to fix. When the walk-behind turned up, Dan went to look. It started right up so he bought it. One of the problems with buying equipment that is no longer manufactured is that it's difficult to find replacement parts. For example, ours needed a coulter. The purpose of the coulter is to cut the ground ahead of the plowshare. The plow then turns over the ground with a nice, neat edge. Without it, the plow is difficult to control. Coulters are available for larger tractors, but we need a 10-inch size, smaller than standard. First Dan contacted our local John Deere and Kubota dealers. Unfortunately they specialize in lawn tractors and didn't have a clue about plows and coulters. One said he'd look into to it but we never heard from him again. The next step was for Dan to try to make one. Homemade coulter, made of a 10" saw blade & two grinding wheels. The grinding wheels add strength & keep the saw blade from bending. Another problem he had was that the tractor isn't heavy enough to plow our tough ground. It needed more weight in the front. Again, these weren't available to he added his own. These are the challenges of older, no longer manufactured equipment. Dan is definitely going to try to fix it but we still question what the best option is. I've researched no-till for field crops but learned that a tractor is still used, just with different implements, things like seed drills and seeding discs, which were not made for our walk-behind tractor. Even if The Beast can be fixed it will eventually break down again, and once again we'll struggle with parts we can't get. Every time this happens it creates a tension between work to be done and the time required to fix the equipment. On top of that it is heavy and takes strength to control. A small farm tractor still seems like the best option for us, especially as we get older and need better work-smarter-not-harder options, especially ones that will enable us to conserve strength and energy. On top of that, a four-wheel tractor is a better candidate for converting to wood gas than the two-wheel one. The question now is can we find one that runs and we can afford? Can we find the attachments? Ours has never been a big agricultural area so most farm tractors around here are only used with belly mowers or bush hogs. I suppose we'll just have to wait and see. Do stay tuned. Martin bought himself a little Kubuto tractor when we moved here, and has been buying the odd attachment for it, so far its continued to run, he would like a newer one but while it does the job it not getting replaced. My dad had one, for some parts he went to a small town west of us to a tractor junk yard (believe it or not). For other parts he dug out his welding equipment and built/rebuilt parts. One of the places he found to buy stuff like cultivators/disks was at Orscheln's/Tractor Supply/Atwoods. He bought replacement pieces that a farmer would use and built the brackets if he need to, to make it work on his rack. Dan might look for one the engine doesn't work on and move his motor to that frame. The caveat there is to roll and turn the one he is looking at, listening for a clicking sound that says everything in the transmission is working. Good luck! The additions he has made look well thought out. I scoured as far as 150 miles for a long time, and just happened across a good deal on a small farm tractor earlier this week, 30 minutes from home! Granted, it didn't come with any farm implements, but it's got a front end loader, and that's a pricey option. # point stuff is all over CL though. As with everything, it needs a bit of work, but I haggled that into the final price. Sorry to hear of your predicament. I don't suppose you have any neighbours with ploughing horses? There are still a few over here. There are really only two options that go with "In a price range" OK maybe 3. A Ford 8N, perhaps maybe a Jubilee up to about a 62 "01" series either a 600 or 800 model. A Farmall Cub or possibly the A or B series. Any of those old small tractors have parts available for them and you can still find implements and specialty parts. Why I even found the front wheel jack kit especially made to move the front axle in and out for a Ford 8N for 100 bucks not long ago. Any of the newer small tractors cost a buttload and then some but the ones I mentioned can still easily be found for under 2K and sometimes much much cheaper. Most of the old walk behind tractors I see go for more than an 8N in good shape around here. They still make brand new front loaders for the Fords and Fergusons too. And I know of three parts/junk yards within 70 miles of me that specialize in old Ford tractor parts. You can still buy any part for them with minimal effort. Equipment is so expensive, but getting the job done is a necessity! Sounds like you've at least been able to find the things you need. A tractor junk yard! That would be, like heaven. Sounds like your dad was our kind of guy. Congrats on that! Sounds like your situation is similar to ours. Well done on the haggling; a front end loader would be a real plus, and like you say, the attachments are easier to come by than the tractor itself, especially one in fairly good running order. That's actually a great idea. Dan's absolute first choice would be for horses rather than machinery. We even talked about him going to one of those farm horse schools in Ohio, but our small acreage makes horses an impossibility. We're not in an agricultural area, so no one around here keeps horses for plowing. Heck, no one around here uses their tractors for plowing. We have had a neighbor come over twice with the tiller attachment on his farm tractor, but we found it didn't turn the weeds under well enough. Most tractors around here are used for mowing. Everyone has either a bush hog or a belly mower, and that's about it. Breaks my heart to see folks mowing acres and acres of land. I always think, 'that could be feeding some critter!'. Being able to fix and find parts is absolutely key. Seems Fords are quite common and would likely be a good choice for us, if we could find one that was running and didn't need a lot of work. Dan gets frustrated with having to make many trips to look at offerings that the seller is trying to sell as antique or a collectors item. John Deeres are common around here too and he took a look at new ones the other day, just out of curiosity. He said they have so many plastic parts on them that there's no way he would buy one even if we had the $$. Hopefully I'll have something to announce one of these days soon! It's the homesteader's constant struggle. Everything is simply priced out of range for most folks. The bigger market around here is lawn tractors, which can be just about as expensive as farm tractors. The larger lawn tractors sometimes come with either a 3-point or sleeve hitch, even a little horse power, but they lack the physical weight to do the job of a tractor built for it. I don't know what to say other than I love Karl. My Big Orange Friend. Industrial tires, front loader and excavator with the quick attach. I would forgo the grading blade next time and I don't mow with it. That is what the sheep and goats do. I do, however, move logs, boulders, soil, manure, adjust water course, un-hang falling trees that get stuck and more. I do these things in a fraction of the time it would take me otherwise and I am not tired afterward. Field crops require either a horse (same but different expense factor) or a tractor. He does run on diesel, and I live in the HEART of suburbia. The place I got it is about 30 miles away. They have great financing or I wouldn't have been able to swing it. The guys at a big office park nearby said they wouldn't use any other brand than Kubota. They had worn through everything else. Dan is better with motors than we are. Sometimes you can find them on Craigslist. I believe in doing things the best way for your situation. Sadly, mine depends on diesel. I am, however, getting things done years earlier than I would otherwise. That is why I haven't been posting! Kubota is definitely on Dan's would-get list. He would love the front loader and excavator as well. So far we haven't found a used Kubota in our price range and Dan won't finance, so it would just be a matter of finding the right one at the right price and the right time. We're looking! Hi Leigh. We like our Kubota but it still needs a pretty steady diet of mechanical 'love' to keep it going. More, in fact, than the less complicated 50s and 60s era small tractors many of my neighbors still use for "chore tractors". We inherited ours and didn't have to deal with the pricy initial investment. If I were starting over without it, I'd look for something like PioneerPreppy suggested. We are rural enough they aren't all that rare. Another consideration is that, at least in NE Indiana, the class I 3-point hitch attachments for 'real small' tractors (like my B2400HST Kubota) are much harder to find used and thus much more expensive than the more common class II attachments for the slight larger tractors. Its worth considering the cost of the tractor and basic implements as something of a package. Fiona's idea about looking for vintage power clubs is a good one. We have a local "Antique Steam and Gas" club that is a great source of info for older equipment. Good luck with your Beast. Hopefully it can be revived to plow another day. I am a long time admirer of your writing style but this is my first time to leave a comment. I think maybe you should check out the book called "The One Straw Revolution" By Masanobu Fukuoka. He pioneered several techniques for no till grain production while stacking species for mutual benifiet. 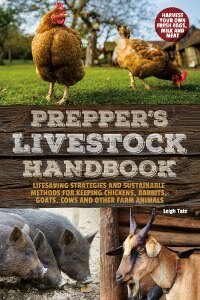 I have not tried his methods yet as we are a year or so away from moving to our "forever home" but he is very well respected among natural agrarians and permaculture practitioners. He is also very earth focused in his philosophical outlook and i think you would enjoy his prose. Worth a shot anyway! I have faith that Dan (& you) will come up with the perfect plan to get just what you need regarding machinery. Fiona, thank you for the link! I know there are similar enthusiasts here in the States, although my searches for parts for our particular make and model come up empty. I'll have to keep digging. Mark, +1 for less complicated. Seems the newer ones get computerized and electronically sophisticated which makes them more difficult to maintain. Interesting about the 3-point attachments. We are not in a big ag area so what I see on craigslist are mostly class I. That's good for us because of the smaller areas we need to work. We've come up with so many imperfect plans that I wonder, LOL. The one good thing about not having much money is that it forces us to research and thing through each decision. I appreciate your confidence! People might say I am biased, and I am sure I am, but if I only had one tractor to use it would be a Ford 8N. I love my Diesel 861 too but that little 8N is the handiest thing on the place. I have used it for just about everything from running my post hole digger, plowing, pulling a wagon around, raking hay. I even hooked her up to an old JD214 baler and baled a bit with it. Even without a front bucket I bought a boom attachment (65.00 used) and can lift just about anything I want with it and a three point scoop acts almost as good as a bucket for what I need. Easy to work on, last for literally years and if it does have a mechanical issue I can't handle I can load her up and take her to the nearest New Holland dealer and they will still work on them. There is not a part on them that cannot still be bought from fenders to cylinder sleeves. I have even used mine to move 1200 lb. round bales by rolling them along with the grader blade attached. That way when I do have to buy hay and all I can find are the big round bales I can just have my neighbor drop em off where ever (since he always shows up when I am not home) and I can just roll em where I want em as needed. I even built a carry all for it that I use to move bee hives around with. It's also light enough that I don't make ruts where ever I go with it. It never fails, when you're trying to get things done in or on the property a piece of machinery will stop working or die completely. I hope you and Dan are able to locate the part needed or come up with a reasonable solution. We ran into a problem with our tiller purchased last year......it was a great deal. Worked one year, now won't work and the parts no longer exist. I can sympathize with you because small tractors around here are like small pickups these days. They cost way more than they should for their size. Everyone wants one which keeps the price up high. Many of the people I know that have ones that were reasonably priced, all completely rebuilt the engines and transmissions before using them. I love the saw blade and two grinder disk coulter. I'm surprised you couldn't find a coulter blade at John Deere but perhaps it was the small size that was the issue of finding. I've replaced tons of coulter blades on my dad's equipment over the years but they are probably 14 to 18" in diameter. Back in the dark ages I worked at a small engine/mower shop as a mechanic. I'm thinking that your trouble may be as simple as a broken woodruff key. Those implements were made fairly robust on the inside but had a built in weakness that would (hopefully) break before something expensive would give up. If that's the case keystock is cheap and easily found at even the worst hardware store. If'n I was closer I'd love to tear it apart and find whats wrong, that's the fun part. You would have to put it back together though as that parts isn't as much fun. Just as Sandy above, we got a great deal on a tiller a couple of years ago, it worked great for two seasons then pooped out and now they don't make parts. Ugh. We haven't come to the point yet of needing a larger tractor, but we do have 'access' to one if we need it but still, the old 'borrowing' thing is nice but always feels like an inconvenience. I love that walk behind tractor...do they still make anything like that? That's very cool. Hope you get a great deal soon!!! I'm guessing that's why it was a good deal.One year, however, is a poor showing for a piece of equipment like that. Disappointing! Ed, he thought the JD dealer would be able to get one because I believe some of their larger lawn and garden tractors have smaller size attachments. Not sure why the salesman didn't know what he was talking about. ????? 1st Man, I have to agree about borrowing. It can be a great way to meet more needs but it does require working things out, which as you say, may or may not be convenient. Pity about your tiller. It's almost getting to the point where it doesn't make sense to buy things anymore. Thank you for that, PP. Others' experience is so much better than a sales pitch! Right now there seem to be a lot of Fords and Massey Fergusons on offer. Seems Fords are always out there, which may be a good indicator that replacement parts would be easier to find. And to answer your question, yes! They are still made in Europe and sold in the US. Fiona mentions Earthtools in the comment below. They sell BSC and Grillo walk-behinds with all the attachments. They are located in Kentucky. If we had been in the market for a new one (read, could afford a new one, LOL) we would have bought something from them. The advantage is, of course, being able to buy replacement parts! Fiona, thank you form mentioning Earthtools. That info might be just the ticket for someone. They were one of the first places we looked for parts, except that their tractors use rotary plows rather than turn plows, so no coulter is involved. On a trip to El Paso Dan actually had an opportunity to stop by a BCS dealer, but he didn't know what a coulter was either! We've been noticing that a lot of the newer 3-point one and two bottom plows don't even have coulters anymore. Not sure how that works but it may be a reason no one knows what we're talking about. Ugg. So sorry about this. It's not a good time for a breakdown (our rototiller went out just before planting season last year, so I know). Brilliant solution on the coulter issue, by the way. I wanted to buy an old small farm tractor but the demand for them here is high. I could find them in good condition but they were too expensive--I suppose because they're so well-suited for small scale gardening (although we used them for everything when I was growing up). I've been thinking a lot about "working smarter not harder" lately. Part of the plan should be to become less reliant on machines, but I haven't figured out how to do that yet. Hoping the Beast is back in commission soon. Funny, that in reality there is a huge demand for small size farm equipment which manufacturers choose to ignore. I suppose if the trend was toward large scale global farming then supplying the little guy would be counterproductive for those goals. We're often torn between machines versus no machines. Seems the best machines are the lowest tech which don't rely on computers and electronics. But those are getting harder and harder to come by. I think, though, that you might have enough land to have horses(?). Horse drawn equipment would be the lowest tech of all. We have found a very likely farm....it has one problem...lots of old farm junk. I know about plowing and will keep a look out for anything like a coulter if we do get it. Some places call a coulter a cutting disc.....Dan's coulter is an amazing idea! They are having a free web-thingy about buying and selecting implements and tractors for small farms. You got to register but it's free. I would take it myself but I know I have to work that day already. I thought his idea for a coulter was pretty clever too. We've noticed that some of the newer plows, such as the kind Tractor Supply sells, no longer have coulters. I can't find out why, except for one article that mentions plowing without one makes the job more difficult. Kathy, ours actually came with all the original manuals, including one for the plow. Trouble is, the company that manufactured them is out of business! Thank you! I will definitely try to do the webinar. Sounds perfect for our needs right now. Oh, that is great that you have the manuals! I was thinking there might be some illustrations to help you decide if it is feasible to tear into it. We have had a couple of things fabricated for a reasonable price and found another shop that was able to come up with a pulley that would work. Good luck on making repairs or finding a replacement piece of equipment! Me Versus the Chickens -Or- Who Outsmarted Whom?